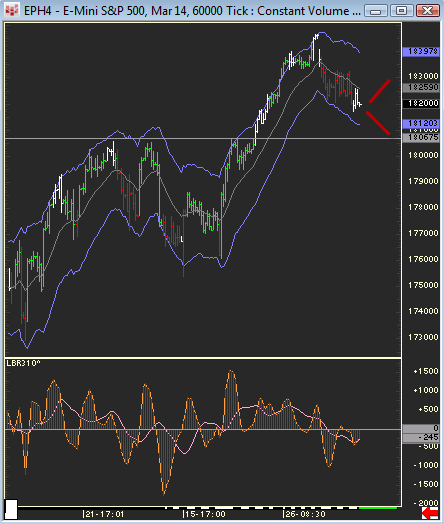 The chart above shows intraday Buy divergences (60,000 tick chart) for Tuesday. The market has also had three down days in a row. The 120 minute charts are still in an uptrend. If Monday’s low fails, then weekly charts can exhert more dominant technicals. The first full week of trading started with an opening gap up, trend down off the opening price. The Russell made an outside down day, SPs and NAZ a lower low, Dow still a higher low. 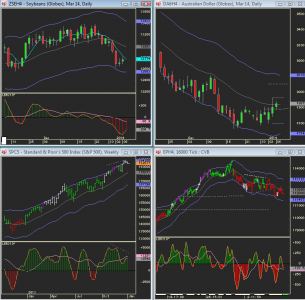 Indexes have three overlapping trading days. 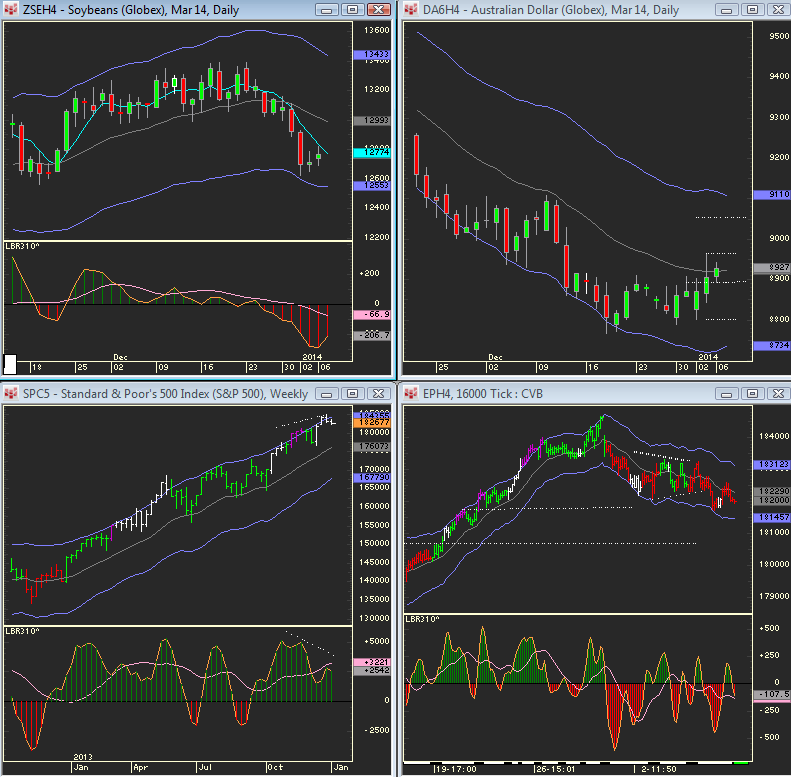 So far, indexes have traded back above the 5 SMA but failed to close above. If the Sps continue lower, there is the pit session gap area which was only partially traded into (it closes at 16.25, and then the 1806.75 previous swing high. If the market trades back up, 1831.50 is the main upside level. (Monday’s 5 SMA). 1832.50 then 1834.25 are the main upside levels. The Russell appears to be forming a daily bull flag. AD, CD, NG, SI – all have coils that can lead to range expansion….and hopefully not the fat finger kind as was the case in gold. There is often extra uncertainty at the start of the year as market participants wait to see if any early trends develop. Just like the opening price for a pit session, traders are waiting to jump on board one way or another, and the market has gone through three days of testing in both directions. Indexes are at a critical point – will last month’s longs jump ship, or are there new $ waiting to come in…. $ index has a pinball BUY! Beans have a pinball SELL!